Last week Google announced a “slow roll-out” of yet another significant update to their search algorithm — Panda 4.1. If you don’t follow the latest in SEO news, that ok, because we do. The latest hub-bub about this particular update is that it represents an opportunity to correct some penalties doled out by the previous Panda 4.0 update, and in the same breath it will work to further penalize thin content (pages and potentially entire websites that show a lack of substance). Google in the past 3 years alone has made some significant changes regarding their search algorithm — making serious shifts in their Key Performance Indicators (KPI) for determining what is, or is not, relevant to the search engine user, and what search results should be delivered accordingly. These institutional changes are all intended to improve the search experience for the approximately 3.5 billion Google searches done every day. Some updates reconfigure what is it means to be relevant — cracking down on poorly constructed websites that have previously dominated search results through a legacy of questionable practices such as thin content and shady links (Panda & Penguin respectively). Others (like Pigeon) tweak “the localization of search”, others still work to improve how a search responds to user input through long-tail search queries (ala Hummingbird). Throughout the Wild West days of Search Engine Optimization, everything was a lot simpler. You found keywords that were believed to be relevant (and frequently used) to your potential customers, you built around those keywords — often in excess. Point and shoot — click, bang, done. Everything that was done to measure the success of your efforts was based around how far up the Search Engine Results Page (SERP) you ranked for select keywords. And currently, while keyword rankings are still a KPI for SEO, they’re not the penultimate end-all-be-all they used to represent. Back in the good old days, focusing on keywords was like being a day trader: you bought where the competition was low and where the demand was trending. You could turn a quick profit in traffic, then look for the next opportunity. If previously SEO was akin to being a day-trader, then current thinking needs to look more like a mutual fund designed for long-term growth through diversification built around historical indicators for trends in the market. Google has put the brakes on how quickly it will move around search results. Getting content and websites on Google’s radar has meant making an even more concerted effort and commitment to delivering quality content. Furthermore, through our own firsthand observation, Google has also begun to inject some “static” into search results pages that makes measuring a specific search ranking less “matter of fact” and more “matter of average.” Not being able to precisely quantify rankings has lead to taking a more aggregate tack with regards to how the keyword ranking KPI fit into our observations. SEO, once a practice similar to day-trading of stocks, now needs to be approached like a long-term investment of your digital capital. As it stands today, we still feel that the practice of utilizing keywords is important to developing a successful campaign. Our process in how keyword rankings are used has simply evolved. As new thinking dictates they are best used as a guide to the overall syntax of your content — matching user vernacular within your message. As a KPI, the focus has shifted to looking at all aggregate rankings, and their impact on your total share of organic search traffic. 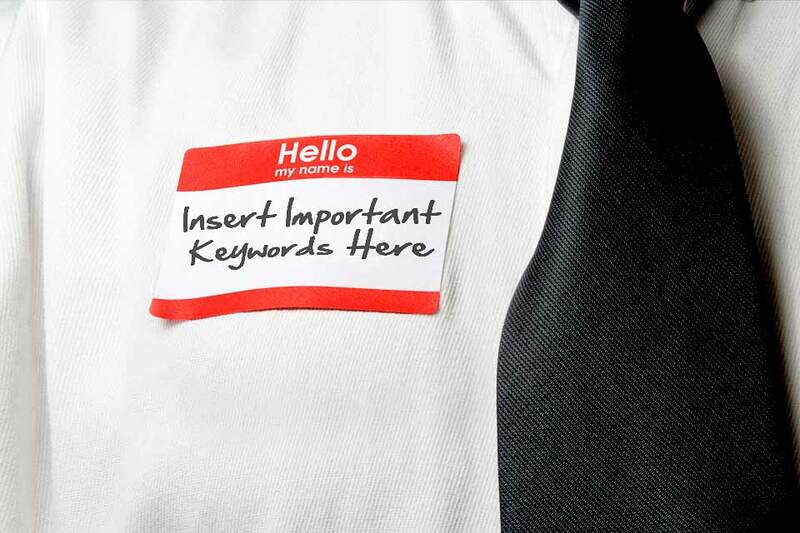 And just like a 401k — quantifiable success can come from 1, 100, or 1,000 keywords. As long as the other SEO best practices are aligned, the quality and quantity of that success become more readily attainable. Developing success along the way can and should be done with incremental results. Google like things to look natural, establishing a content schedule and a cadence for delivering great content will ensure Google that your efforts are legitimately human. That being said, there’s always opportunities to make surprising gains, by leveraging your social media (and yes, other networks) to distribute your content. Yes we do mean (but hate to say it) “going viral”. Google has been less likely to give credence to content for content’s sake — you cannot simply create content and hope it ranks. From our 3 C’s of SEO community is king: how far and how fast you succeed (now more than ever) depends on how well your content is distributed. The Community of the Internet acts a metric of “social proofing” for the value of your content. As Google has gotten wiser about the quality of link building, this social proofing has become even more difficult to acquire. As Google’s Penguin update worked to carpet bomb shady linking practices, it also left some innocent bystanders in the cross-hairs of being penalized as collateral damage. The industry-wide collective learning experience from this, has made the practices of link building a more selective and overall cautious process. Google’s most recent and significant changes have more closely aligned SEO with Inbound Marketing — at least in methodology. We as marketers are tasked with the challenge of trying to figure out new ways for quantifying ROI based on this “wider net.” This challenge that has spawned a whole new crop of web apps promising to assist with closing the loop on inbound (and social) marketing metrics. and your website will prosper through Organic Search. Like playing checkers with a 9 year old: Google’s rulebook for SEO will continue to change. But it doesn’t have to be an uncharted odyssey. Opus Media has success in navigating the heavy seas and can plot your course for SEO success, make sure you stay the course, and weather the storms along the way. Give us a call or send us a message to get started.